I am pleased to introduce the Shell Sustainability Report for 2013. We have experienced a challenging year, in a difficult business environment. 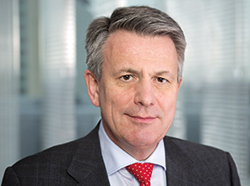 I will continue to take a long-term view of our business, where the health and safety of our people and neighbours, and our environmental performance, remain the top priorities for Shell. Sustainability is integral to our business. We operate responsibly, investing to satisfy growing global energy demand and to help build a cleaner energy system for the future. We also actively participate in key discussions between business, civil society and government. We will continue to focus on operational performance while embedding sustainability within Shell. This means taking stringent steps to prevent harm to the people working in our operations, our neighbours and the environment. Running a safe and efficient business is at the core of good operational performance. We need to challenge ourselves to make sure we always do the right thing and seek solutions that share benefits with the communities where we operate. This can boost local economies by creating jobs, developing skills and encouraging enterprise by working with local suppliers, often helping them to build capacity. It increases trust and builds lasting, positive relationships. Therefore, at Shell, doing the right thing is not only a matter of principle, it also makes good business sense. I will be looking at each part of Shell’s business to ensure that we continue to improve our sustainability performance. We have made a lot of progress over the years, but expectations continue to rise – we must never be satisfied or complacent. We apply our expertise and knowledge from our long history in the oil and gas sector to develop technologies and innovations. This includes cleaner energy solutions that can be deployed now – such as natural gas and low-carbon biofuel – as well as emerging opportunities, such as advanced biofuels and liquefied natural gas for transport. We produce about as much natural gas as oil. Gas is the cleanest fossil fuel, producing half as much carbon dioxide (CO2) as coal in power generation and less local pollution. The development of our Quest carbon capture and storage (CCS) project in Canada is expected to capture 1 million tonnes of CO2 a year from our oil sands operations. The project will provide valuable knowledge to support broader application of CCS technologies. We design our new operations to minimise our impact on the environment and continue to work to improve the energy and water efficiency of our existing operations. The scale of the global challenges that the world faces is too great for one company, or one sector, to resolve. Global demand for energy is rising as populations grow, living standards increase and urbanisation intensifies. There will be greater stress on the essentials of energy, water and food, which is likely to be exacerbated by climate change. We are helping to shape a better understanding of and response to these challenges. During 2013, Shell continued to bring the private and public sectors together by hosting events that promote the need for building resilience in companies and in society at large. However, greater levels of collaboration and trust must be fostered among government, industry and civil society to create the urgent shift needed to help address these challenges. Governments must provide the right frameworks to encourage economic investment in cleaner energy, while business can offer technology, know-how, transparency and pragmatic long-term views. We were a founding member of the UN Global Compact and continue to support its principles in human rights, labour, environment and anti-corruption. Details of our progress in these areas can be found in this report. I would like to thank the members of the External Review Committee (ERC), consisting of experts in sustainability, for their help in developing this report. Their contributions are highly valued.